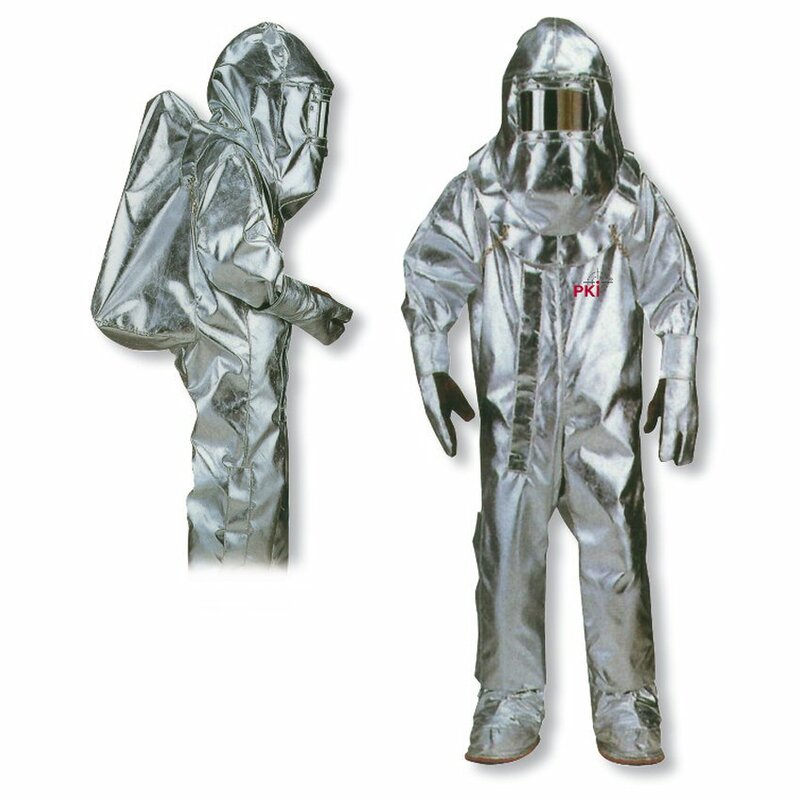 This suit offers protection against flames and intensive heat and has been designed for longer operations. It enables the fire fighter to cope with special high risk operations and rescue actions which require additional use of respirator as well as head-, hand- and foot protection. The sight glass is made of laminated safety glass, curved, gold steamed, 100 x 220 mm large.